The European fiscal framework: can it ensure debt sustainability and adequate fiscal stabilisation? This presentation is based on joint research by Gregory Claeys, Zsolt Darvas and Silvia Merler. The two main objectives of a fiscal framework are to discourage the deficit bias of the government in order to ensure long-term sustainability of public debt and to leave scope for countercyclical fiscal policy. By estimating fiscal reaction functions for a large number of advanced and emerging economies, we conclude that while automatic stabilisers were allowed to work in euro-area countries, the slightly counter-cyclical pre-crisis discretionary fiscal policy has disappeared during the crisis. Some euro-area countries implemented pro-cyclical fiscal tightening. The aggregate fiscal stance of the euro area was inappropriate concerning the cyclical situation of the economy. In contrast, in other advanced economies automatic stabilisers worked as well as in the euro area, but discretionary fiscal policy was strongly counter-cyclical both before and during the recent crisis. There are question marks about debt sustainability of some euro-area Member States and therefore none of the two main objectives have been achieved appropriately in Europe. We assess the role of the European fiscal framework in this development by considering both its pre-crisis version and its more recent form after the amendments made in 2010 and 2015. The current system is characterised by a fairly complicated system of multiple rules covering nominal deficit, structural deficit, debt and expenditures, with various escape clauses and with specific requirements for euro-area Member States. By reviewing the characteristics of alternative fiscal frameworks and their effectiveness from theoretical and empirical perspectives, we assess the relevance of the current European fiscal framework to achieve the two main objectives. We make recommendations on how the European framework (including its specific provisions for the euro area) should evolve in the coming years. Zsolt Darvas is Senior Fellow at the Brussels-based think tank Bruegel, which was ranked #5 think tank worldwide in the 2014 Global Go To Think Tank Report and Policy Advice published by the University of Pennsylvania. Zsolt Darvas is also Senior Research Fellow at the Institute of Economics of the Hungarian Academy of Sciences and at the Corvinus University of Budapest. 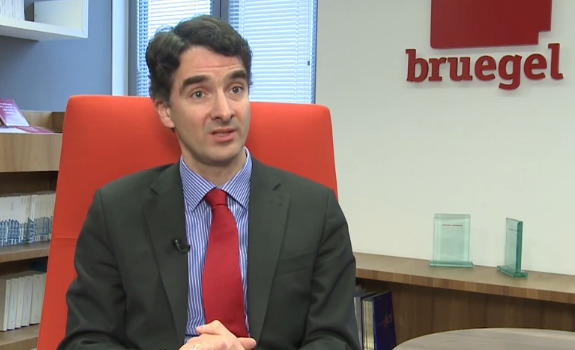 Before joining Bruegel in late 2008, he was Research Advisor of the Argenta Financial Research Group in Budapest (2005-2008). Before that, he worked at the research unit of the Central Bank of Hungary (1994-2005) where he served as Deputy Head during 2001-2005. He had visiting researcher positions at the Bank of Finland, Deutsche Bundesbank, De Nederlandsche Bank, Stockholm School of Economics and Bruegel, and worked for research projects of the European Commission, the OECD and the World Bank. Zsolt Darvas holds a Ph.D. in Economics from Corvinus University of Budapest, where he teaches courses in Econometrics since 1994. His research interests include macroeconomics, international economics, finance and time series analysis. His current works focuses on policy issues, such as the growth challenge, European economic governance and the social impact of the crisis.